Redwoods and Rivers Swiftwater Rescue program teaches recognition and avoidance of common river hazards, execution of self-rescue techniques and rescue for paddlers in distress. 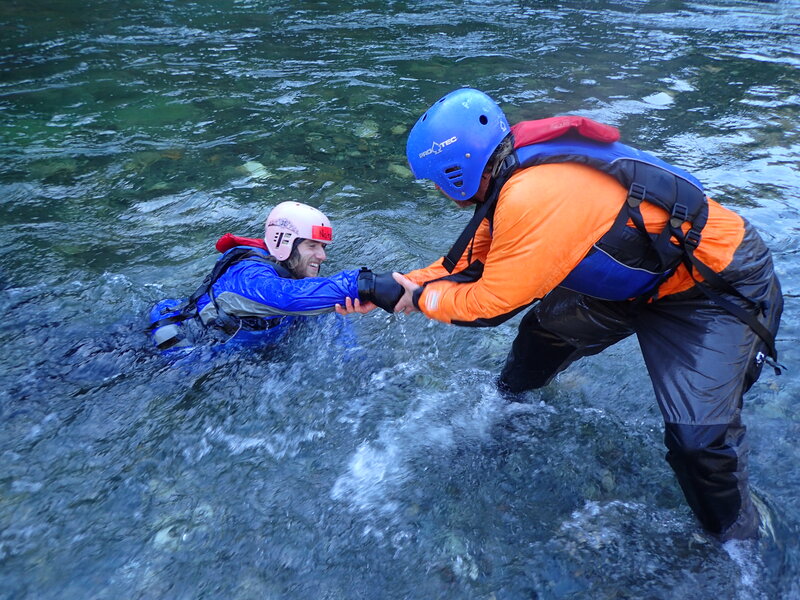 Emphasis is placed on personal safety and on simple, commonly used river rescue skills. Techniques for dealing with hazards such as strainers, entrapment’s and pins are practiced. Staged scenarios provide participants practice with individual and group skills. 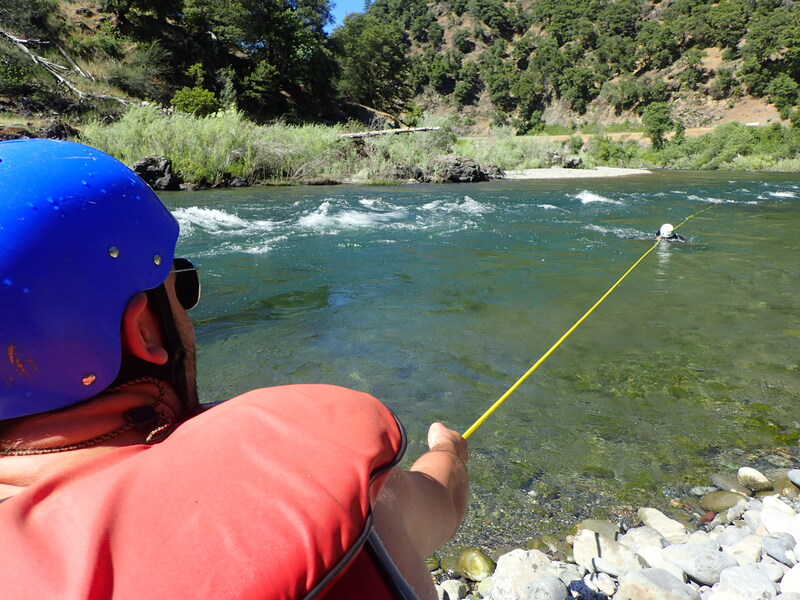 Our program is taught by Redwoods and Rivers Guide Instructors using Rescue III International protocols - Swiftwater Rescue for Rafting Guides certification is awarded to participants upon successful completion. "Guide School changed my life in so many ways. Thank you Redwoods and Rivers for giving me not just “river lessons” but “life lessons”. "Going to guide school is absolutely one of the best choices I've made in my adult life. Precious time and memories that I cherish. I hope to do it again one day soon. " 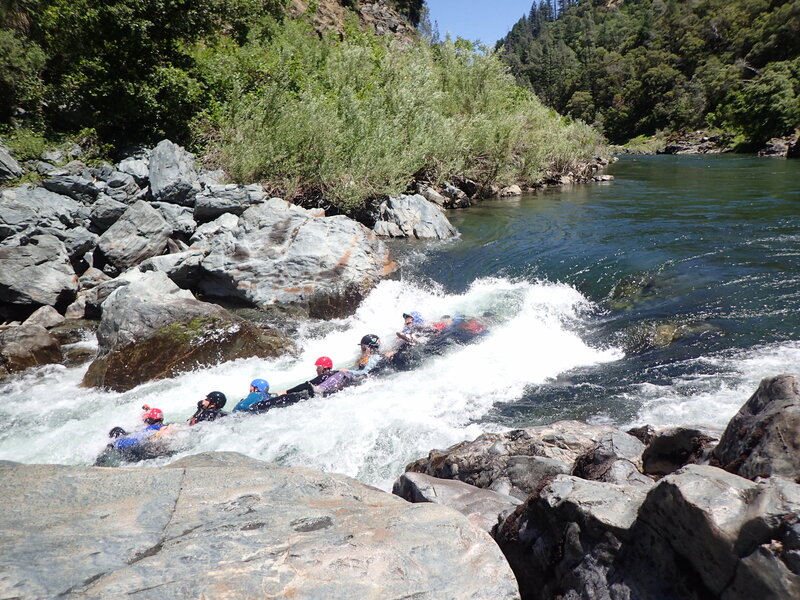 "I wanted to thank you for they wonderful experience Redwoods and Rivers provided my son Colby Contreras. He can't stop talking about his experience and all that he learned. He also mentioned what wonderful people he got to meet and said he made a new family while there. I could tell from the moment I dropped him off he was in good hands and it showed they day I picked him up with his ear to ear smile and his slight resistance in wanting to go home. " "My real exposure to being on rivers came with Redwoods and Rivers. The great bearded and burly Michael impressed me immediately with his knowledge of boating and the outdoors. I was taken care of like a family member. Michael and Wanda were kind and extremely generous. I cannot thank them enough for holding my hand, showing me how to run rivers, employing me and trusting me to do it, and for treating me so well all along the way." Redwoods & Rivers is a non-discriminating, equal opportunity service provider. Redwood & Rivers operate under special use permits from Klamath, Shasta-Trinity and Six Rivers National Forests.